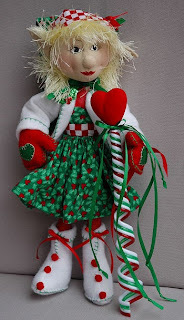 This is one of the elf dolls I actually made but didn't quite finish last year. 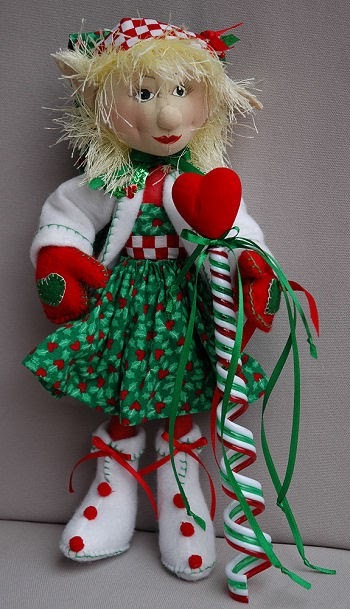 She just sold at ebay this past week along with one of the boy elves. I still have one more boy, a skinny snowman, a Christmas witch, and some snowladies over at ebay. 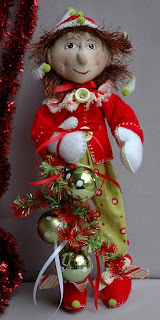 At etsy I have a tree top angel and some snowmen ornies. Here's a pic of the boy elf at ebay. I'm busy sewing bears for a local shop called Tapas. I have 2 more to finish and then I'm starting on 4 small bears I'm making from an old cotton fleece jacket. I plan on tea staining them and using old buttons for the eyes and joints. I want them to look real primmie. Oh, and I'm finishing up the fall series of tatting patterns. The tatting is done, I just have to decide how I want to display them. Like putting them on cards or on totes. Then I have to write the directions and take pictures. 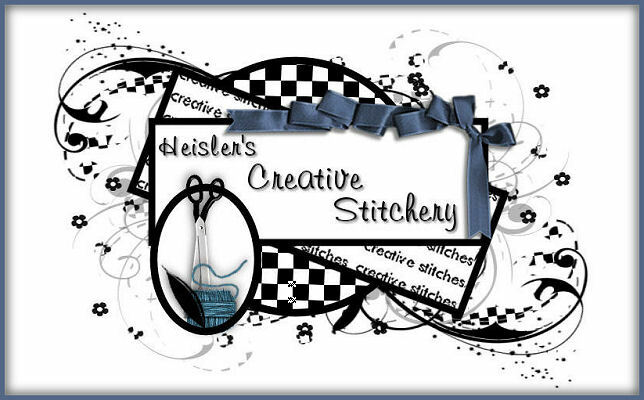 Guess the fall and winter series won't be out anytime soon ;) I'm working on a few tatted projects I needed for the winter series and I'm beginning to think I should just skip to the spring series. 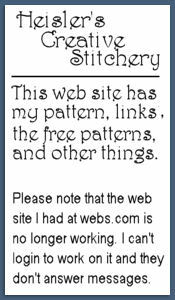 I've been doing a lot of research on tatting patterns, sites, and blogs online. I was surprised to see a person selling just one downloadable pattern for earrings for $2.95. I was worried my patterns were too high but I guess I'm still ok. I'll post more pics next time! The Happiest of New Years! Pics of totes and more! Can you believe it, I'm back again!